Los Angeles,CA._ Blues great Robert Calvin Bland, better known a Bobby “Blue” Bland, a distinguished singer who blended Southern Blues and Raw Soul while recording big hits such as, “Turn on Your Love Light” and “Further On Up the Road,” and “Stormy Monday” died June 23, he was 83. Rod Bland said his father died about 5:30 p.m. Sunday due to complications from an ongoing illness at his Memphis, Tenn., home surrounded by relatives. Bland was known in some circles as the “Lion of the Blues” and heavily influenced by Nat King Cole, often recording with lavish arrangements to accompany his smooth vocals. He even openly imitated Frank Sinatra on the “Two Steps From the Blues” album cover, standing in front of a building with a coat thrown over his shoulder. This brought about a second moniker of “The Sinatra of the Blues.” “He brought a certain level of class to the blues genre,” said Lawrence “Boo” Mitchell, son of legendary musician and producer Willie Mitchell. Born in Rosemark, Tenn., he moved to nearby Memphis as a teenager and, as the Hall Of Fame noted, was “second in stature only to B.B. King as a product of Memphis’ Beale Street blues scene.”Bland was a contemporary of B.B. King’s, serving as the blues great’s valet and chauffeur at one point early in his young career. After a stint in the Army, he recorded with Sam Phillips at Sun Records in the early 1950s with little to show for it. It wasn’t until later that decade Bland began to find success. He scored his first No. 1 on the R&B charts with “Further On Up the Road” in 1957. 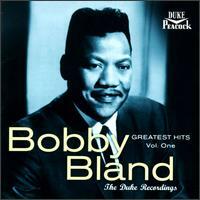 Then, beginning with “I’ll Take Care of You” in early 1960, Bland released a dozen R&B hits in a row. That string included “Turn On Your Love Light” in 1961. His “I Pity the Fool” in 1961 was recorded by many rock bands, including David Bowie and Eric Clapton, who has made “Further On Up the Road” part of his repertoire. Being one of the last of the living connections to the roots of the genre,Blues. “He’s always been the type of guy that if he could help you in any way, form or fashion, he would,” Rodd Bland said. In the world of Soul,Blues and R&B, young singers can stand on the shoulders of true pioneers, like Bland, who truly paved the way while doing all the heavy lifting. 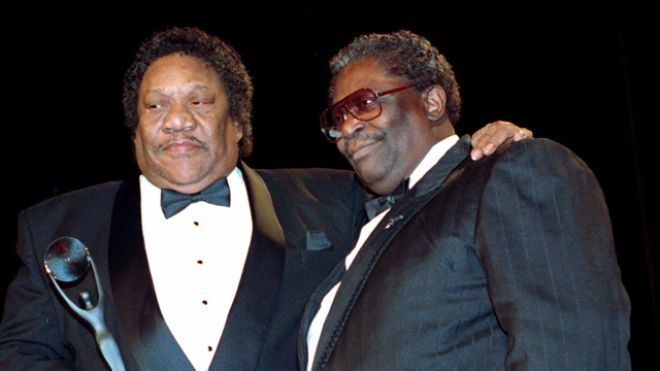 Bobby Blue Bland will be sorely missed with very few left to fill the void left in his absence.